Freight Shipping Estimator, or How to Calculate the Shipping Cost? Whether it comes to shipping large items across country, or you are looking for international crating and freighting services, before to entrust your cargo to a freight delivery company, you need to know the cost of your shipment. This is where you may need a freight shipping estimator! If you search a bit on Google, you will find a freight shipping estimator that can provide you with the shipping cost online. Such tools are indeed highly useful as they can calculate the cost of almost any shipment in seconds, taking into account the selected method of shipping, locations, load, cargo dimensions, and some other factors. The only problem is that even if you use a modern online freight shipping estimator, it will provide you with an approximate importing and exporting cost of your shipment. But what if you need to know an accurate shipping estimate? In such a case, it is much better to contact freight delivery companies directly. As professional shippers of fine art with offices in New York and London, Fine Art Shippers provides free estimates for all our moving and shipping services. Moreover, you do not need any freight shipping estimator if you are looking for the most affordable way to ship art, antiques, furniture, musical instruments, electronics, or any other fragile items that can be easily damaged in transit. The fact is that all our local and international shipping services are very competitively priced, so the best shipping rate is guaranteed! 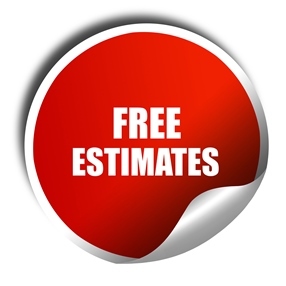 Whether it comes to paintings, sculptures, living room furniture, different appliances, or even a vehicle of any type, we will calculate the shipping cost for you quickly and accurately. It is needless to say that we value our clients and never overcharge them, making the whole process of shipping freight as transparent as possible, without any hidden fees. You can easily verify this by requesting a free shipping quote right now, using a special form on this website! In this way, while a freight shipping estimator is a very useful tool, if you need an accurate quote calculated in full accordance with your specific requirements, it is always better to contact a shipping company directly. At Fine Art Shippers, we are always ready to help you solve any shipping problem, even if you are limited on budget. After all, we are one of the best and most reliable freight delivery companies in the United States!